1. In December 1995, Boise Cascade's stock had a beta of 0.95. The treasury bill rate at the time was 5.8%, and the treasury bond rate was 6.4%. The firm had debt outstanding of $ 1.7 billion and a market value of equity of $ 1.5 billion; the corporate marginal tax rate was 36%. a. Estimate the expected return on the stock for a short term investor in the company. b. 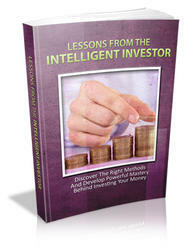 Estimate the expected return on the stock for a long term investor in the company. c. Estimate the cost of equity for the company. 2. Boise Cascade also had debt outstanding of $ 1.7 billion and a market value of equity of $ 1.5 billion; the corporate marginal tax rate was 36%. a. Assuming that the current beta of 0.95 for the stock is a reasonable one, estimate the unlevered beta for the company. b. How much of the risk in the company can be attributed to business risk and how much to financial leverage risk? 3. Biogen Inc., as biotechnology firm, had a beta of 1.70 in 1995. It had no debt outstanding at the end of that year. a. Estimate the cost of equity for Biogen, if the treasury bond rate is 6.4%. b. What effect will an increase in long term bond rates to 7.5% have on Biogen's cost of equity? c. How much of Biogen's risk can be attributed to business risk? 4. Genting Berhad is a Malaysian conglomerate, with holding in plantations and tourist resorts. The beta estimated for the firm, relative to the Malaysian stock exchange, is 1.15, and the long term government borrowing rate in Malaysia is 11.5%. a. Estimate the expected return on the stock. b. If you were an international investor, what concerns, if any, would you have about using the beta estimated relative to the Malaysian Index? If you do, how would you modify the beta? The variance of the stock is 50% and the variance of the market is 20%. The current T.Bill rate is 3% (It was 5% one year ago). The stock is currently selling for $50, down $4 over the last year, and has paid a dividend of $2 during the last year and expects to pay a dividend of $2.50 over the next year. The NYSE composite has gone down 8% over the last year, with a dividend yield of 3%. HeavyTech Inc. has a tax rate of 40%. a. What is the expected return on HeavyTech over the next year? b. What would you expect HeavyTech's price to be one year from today? c. What would you have expected HeavyTech's stock returns to be over the last year? d. What were the actual returns on HeavyTech over the last year? e. HeavyTech has $100 million in equity and $ 5 million in debt. It plans to issue $50 million in new equity and retire $50 million in debt. Estimate the new beta. 6. Safecorp, which owns and operates grocery stores across the United States, currently has $50 million in debt and $100 million in equity outstanding. Its stock has a beta of 1.2. It is planning a leveraged buyout , where it will increase its debt/equity ratio of 8. If the tax rate is 40%, what will the beta of the equity in the firm be after the LBO? 7. Novell, which had a market value of equity of $2 billion and a beta of 1.50, announced that it was acquiring WordPerfect, which had a market value of equity of $ 1 billion, and a beta of 1.30. Neither firm had any debt in its financial structure at the time of the acquisition, and the corporate tax rate was 40%. a. Estimate the beta for Novell after the acquisition, assuming that the entire acquisition was financed with equity. b. Assume that Novell had to borrow the $ 1 billion to acquire WordPerfect. Estimate the beta after the acquisition. 8. You are analyzing the beta for Hewlett Packard and have broken down the company into four broad business groups, with market values and betas for each group. a. Estimate the beta for Hewlett Packard as a company. Is this beta going to be equal to the beta estimated by regressing past returns on HP stock against a market index. Why or Why not? b. If the treasury bond rate is 7.5%, estimate the cost of equity for Hewlett Packard. Estimate the cost of equity for each division. Which cost of equity would you use to value the printer division? 9. The following table summarizes the percentage changes in operating income, percentage changes in revenue and betas for four pharmaceutical firms. a. Calculate the degree of operating leverage for each of these firms. b. Use the operating leverage to explain why these firms have different betas. 10. A prominent beta estimation service reports the beta of Comcast Corporation, a major cable TV operator, to be 1.45. The service claims to use weekly returns on the stock over the prior five years and the NYSE composite as the market index to estimate betas. You replicate the regression using weekly returns over the same period and arrive at a beta estimate of 1.60. How would you reconcile the two estimates? 11. Battle Mountain is a mining company, which mines gold, silver and copper in mines in South America, Africa and Australia. The beta for the stock is estimated to be 0.30. Given the volatility in commodity prices, how would you explain the low beta? a. Estimate the intercept (alpha) and slope (beta) of the regression. c. Looking back over the last five years, how would you evaluate AD's performance relative to the market? d. Assume now that you are an undiversified investor and that you have all of your money invested in AD Corporation. What would be a good measure of the risk that you are taking on? How much of this risk would you be able to eliminate if you diversify? e. AD is planning to sell off one of its divisions. The division under consideration has assets which comprise half of the book value of AD Corporation, and 20% of the market value. Its beta is twice the average beta for AD Corp (before divestment). What will the beta of AD Corporation be after divesting this division? a. What would an investor in Mapco's stock require as a return, if the T.Bond rate is 6%? b. What proportion of this firm's risk is diversifiable? c. Assume now that Mapco has three divisions, of equal size (in market value terms). It plans to divest itself of one of the divisions for $ 20 million in cash and acquire another for $ 50 million (It will borrow $ 30 million to complete this acquisition). The division it is divesting is in a business line where the average unlevered beta is 0.20, and the division it is acquiring is in a business line where the average unlevered beta is 0.80. What will the beta of Mapco be after this acquisition? 14. You have just run a regression of monthly returns of American Airlines (AMR) against the S&P 500 over the last five years. You have misplaced some of the output and are trying to derive it from what you have. a. You know the R squared of the regression is 0.36, and that your stock has a variance of 67%. The market variance is 12%. What is the beta of AMR? b. You also remember that AMR was not a very good investment during the period of the regression and that it did worse than expected (after adjusting for risk) by 0.39 % a month for the five years of the regression. During this period, the average riskfree rate was 4.84%. What was the intercept on the regression? c. You are comparing AMR Inc. to another firm which also has an R squared of 0.48. Will the two firms have the same beta? If not, why not? The current one-year treasury bill rate is 4.8% and the current thirty-year bond rate is 6.4%. The firm has 265 million shares outstanding, selling for $ 30 per share. i. What is the expected return on this stock over the next year? ii. 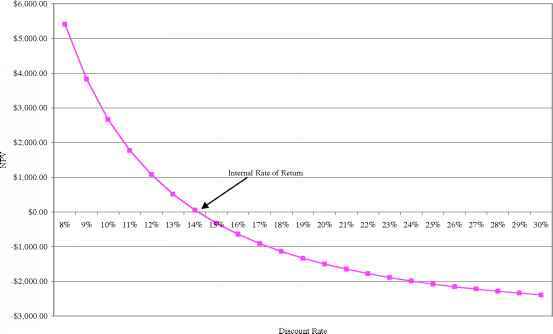 Would your expected return estimate change if the purpose was to get a discount rate to analyze a thirty-year capital budgeting project? iii. An analyst has estimated, correctly, that the stock did 51.10% better than expected, annually, during the period of the regression. Can you estimate the annualized riskfree rate that she used for her estimate? iv. The firm has a debt/equity ratio of 3%, and faces a tax rate of 40%. It is planning to issue $2 billion in new debt and acquire a new business for that amount, with the same risk level as the firm's existing business. What will the beta be after the acquisition? A. 0.05% worse than expected on a monthly basis, during the regression. C. 1.25% better than expected on a monthly basis during the period of the regression. D. 1.25% worse than expected on a monthly basis during the period of the regression. • The firm sold off its magazine division, which had an unlevered beta of 0.6, for $ 20 million. • It borrowed an additional $ 20 million, and bought back stock worth $ 40 million. After the sale of the division and the share repurchase, MAD Inc. had $ 40 million in debt and $ 120 million in equity outstanding. If the firm's tax rate is 40%, re-estimate the beta, after these changes. 17. Time Warner Inc., the entertainment conglomerate, has a beta of 1.61. Part of the reason for the high beta is the debt left over from the leveraged buyout of Time by Warner in 1989, which amounted to $10 billion in 1995. The market value of equity at Time Warner in 1995 was also $ 10 billion. The marginal tax rate was 40%. a. Estimate the unlevered beta for Time Warner. b. Estimate the effect of reducing the debt ratio by 10% each year for the next two years on the beta of the stock. 18. Chrysler, the automotive manufacturer, had a beta of 1.05 in 1995. It had $ 13 billion in debt outstanding in that year, and 355 million shares trading at $ 50 per share. The firm had a cash balance of $ 8 billion at the end of 1995. The marginal tax rate was 36%. a. Estimate the unlevered beta of the firm. b. Estimate the effect of paying out a special dividend of $ 5 billion on this unlevered beta. c. Estimate the beta for Chrysler after the special dividend. 19. You are trying to estimate the beta of a private firm that manufactures home appliances. You have managed to obtain betas for publicly traded firms that also manufacture home appliances.